Finding paying clients can be a struggle, especially in the beginning. If you’ve already got your website, blog and portfolio up and running, the next step is to get some testimonials as soon as you can. Once you’ve completed some work, whether you were paid or not, you can ask for the client to say a few words about working with you so that you can put it on your website for all future clients to see. What can testimonials do for your website? When a client is looking for a freelancer, all they want to know is: can you do the job required? It’s only natural for them to want to see evidence of this in the form of a portfolio at the very least. However, most people also prefer recommendations from real people because there’s more trust. This is why testimonials from clients are essential for building your business. When you’re thinking of buying something, do you look at the reviews? Do you even avoid buying something without reviews? 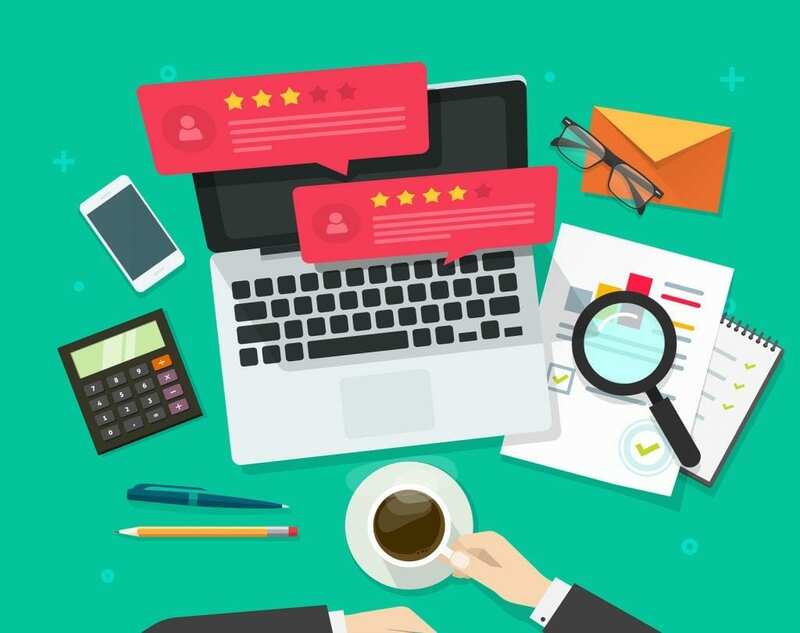 You’ll no doubt know the power of the review in your buying decision already, with hiring freelancers it’s no different. Testimonials from previous clients can end up working much more effectively than any slick pitch you send out. This one goes further than a simple “they were great to work with”. A case study of one of your previous projects can be a concrete way to show that you can deliver. The best way to put a case study together is to ask your clients how valuable your work was in facts and figures, not just opinions. So if your posts get a huge X amount of visitors a week or your campaign has a high turnover of conversions, try and get these figures from your clients so that you can show them off to potentials. Some clients are numbers people and will appreciate you taking the time to show them facts and figures about your work, not just reviews. Although testimonials are also valuable to have in addition. Having testimonials and concrete facts about the value of your work will help to attract more interested clients because you have a proven track record. Make sure these are in a prominent position on your website and in any pitch emails you send out to clients. As clients will be fighting over you, you can also afford to raise your rates in line with the higher quality work you can produce.